Are you attending a tradeshow below? If so, and you'd like a one-on-one appointment, we're happy to meet you. Just offer some advanced notice and we'll set aside a time. Please click the "View" link below, complete the quick form, and we'll contact you for appointment information. We look forward to working you! ABB Automation & Power World Brazil learn about emerging, disruptive and proven technologies for factory and process automation. Booth: TBD, please request a mailed invitation with link below. AeroDef® 2016 The leading exposition and technical conference for the aerospace and defense manufacturing industry. AISTech 2016 Iron & Steel Technology Conference & Exposition is your best opportunity to meet face-to-face with the individuals who specify, purchase, design and operate a variety of plants and facilities associated with the production and processing of iron and steel. Booth: TBD, request a mailed invitation/meeting using link below. Booth: TBD, please request an update with below link. Booth: TBD, please request an alert with link below. Booth: TBD, request an update with below link. 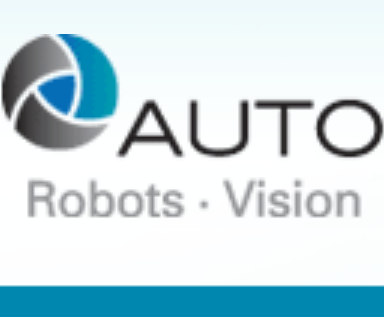 Automation Conference educational programs and more, for those dedicated to solving automation challenges in manufacturing, processing and packaging. Booth: See you there? Please request a meeting/alert with link below. Booth: See you next time, please request an alert with link below on next show. 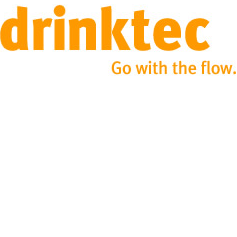 BaltTechnika Expo: Industrial equipment, materials, robots, electronics, automation, welding systems, surface treatment systems, metal processing equipment, energy saving, tools. Booth: Please request an alert using below link. Booth: TBD, please request a meeting with link below. City: New York City, Philadelphia, Huston, Minneapolis, Orlando, Anaheim, Boston, Toronto & Montréal. Booth: Please request an alert with link below, we'll pick the nearest show and contact you. City: San Jose, CA, U.S.A.
Booth: Let's meet next year, please use link below to connect with us. Booth: TBD, please request an update with link below. Booth: TBD, please use link below to receive an alert. EURO EXPO Molde 2013 Industrial fair in areas of electricity, production, maintenance, design, and safety. Booth: TBD, please request an update/alert with link below. Booth: Please request an appointment and update/alert with link below. Booth: No booth this year, but let us know you'd like to see SoftNoze at the next show, with the link below. Booth: Request an alert with link below. 30+ year history, FAKUMA for plastics processing has become a prominent meeting place. Covers all aspects of injection moulding technology, extrusion, thermoforming- from raw materials, processing machines, peripherals, automation solutions or C technology- FAKUMA is a trend barometer. FEIMAFE 2013 fair focused on machine tools, quality control and related automation technologies in Latin America. Booth: Please request an update/alert with link below. Booth: Request a written invitation and or meeting link below. hi a strong collaboration and range of sector associations and organisations and the largest industry expo in the Nordic region. Booth: Request an update with below link, for the next HUG. Booth: Please ask to meet with us using with below link. Booth: Please request an alert with link below on next show. Booth: Please request an update on the next show with below link. At IMTS, you will see the latest in manufacturing technology, network with business colleagues... plus co-location with Industrial Automation North America expo. Booth: Pending, request an update with below link. Industrial Automation RUSSIA 2013 (ITFM) leading international Fair for process automation and factory automation in Moscow. Booth: See you there? Please request an update/meeting using link below. Booth: None, but please request an appointment with link below for next show. leading annual pharm/biopharmaceutical trade show. Find networking opportunities, products, services and information to maximize efficiency, agility & flexibility to solve manufacturing problems. International trade fair, LogiMAT 2015, for distribution, materials handling and information flow, sets new standards as the biggest annual intralogistics exhibition in Europe. Booth: TBD, please request an alert using link below. M-Tech is Japan's largest exhibition focusing on mechanical components, materials & fabrication technologies, recognized as one of the most important mechanical automaton component, held at four exhibit "Manufacturing World Osaka 2013". Booth: TBD; please request a print update/alert using link below. Booth: Please request an alert and invitation with link below for this show. Booth: Can we meet you there? Please request an update/meeting using link below. Manufacturing Surabaya 2013 major event highlighting machine tool, welding, industrial automation, vehicle manufacturing, packaging & plastics sectors. Booth: See you next time! Please request an update on the next show with the below link. Booth: Show's over, look for next year's event. Booth: Please request a show appointment with the link below. Booth: See you next time, please request update on the next show with the following link. Booth: Please request an invitation for next year's expo using link below. Booth: TBD, please request update using the following link. Shanghai International Automobile Manufacturing Technology, Equipment & Materials Exhibition (AMTS 2013) leading industrial automation solutions for the automotive industry; stamping, welding, painting, assembly, tires, manufacturing and all other processes. Website: AMTS 2013City: Shanghai, P.R.C. Booth: Not exhibiting this year, but please request update alert with link below. Booth: See you next time? Please request an update/meeting using link below. Taipei Int'l Industrial Automation Exhibition for automation control system, plant equipment, test and measurement, robots, machine tools, processing machinery, software and components. Booth Please request an update/alert with link below. 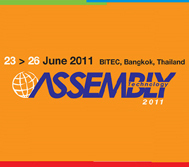 The Assembly Show premier event connecting suppliers, buyers and users of assembly equipment with one main focus - assembly technology, equipment and products. Booth: Please request an alert/meeting with link below for this show. Booth: See you next time! For an alert with new dates, please use below link. Tire Technology Expo 2014, global event bringing the leading players and innovators in the tire manufacturing world together in one place. Booth: Please contact us regarding the this expo using the below link. Booth: Please contact us regarding the next expo with below link. VISION has established itself as the world’s most important trade fair for machine vision... a who’s who of the machine vision industry presenting the latest innovations, cultivating existing contacts and making new ones. Booth: Please request information on the next expo using the link below. Booth: Not at this show, but please request an alert for future shows with link below.